The holiday season seems to be, in TV land, a time for marathons. I’ve particularly enjoyed, between bouts of turkey consumption and essay-writing, being able to sit back and watch multiple episodes of “Iron Chef” and “Restaurant Impossible” on the Food Network. Other channels are cycling through an endless stream of “Friends,” “Seinfeld” and a gaggle of shows about cake decorating. 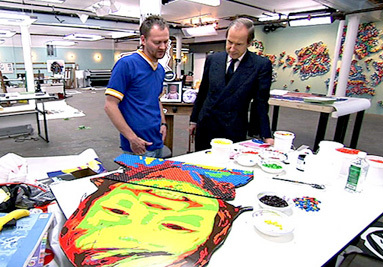 The best marathon in my opinion, however, was the Bravo channel showing back-to-back the whole second season of “Work of Art: The Next Great Artist.” If you’ve never seen the show, the easiest way to describe it is “Project Runway” for visual artists. (I also enjoyed the VH1 show “Platinum Hit,” which could in a similar vein be called “Project Runway” for songwriters… quite naturally, since all these shows come from the same production company.) 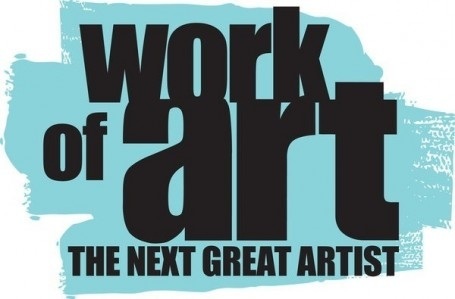 On “Work of Art” we get to see a group of talented emerging artists try to, in the words of PR’s Tim Gunn, “make it work” through a number of hand-wringing challenges, competing for a solo show at the Brooklyn Museum. It’s a great show for thinking through the nature of art – especially effective art! – as well as the “artworld,” how art creation, criticism and curating go together to regulate the contemporary art canon. Here are a few tips about art and artmaking I’ve picked up from the show, which I offer for your creative edification. Agree/disagree? 1) Have a clear idea. This cuts close to the heart… In my own artistic practice, I often let process dictate the direction of the piece – just “starting” without an end product in mind – which can often lead into confusion/soul-searching/bad art. On “Work of Art,” artists who try to create a piece without some idea of what they would like to produce invariably end up with something terrible. Case in point: Michelle’s smiling car bumper (Episode 7) or any number of Lola’s directionless drawings (Episode 4). Call it clarity of vision or the ability to conceptualize effectively – knowing what you want to do, and then doing it, is (following common sense!) important. 2) Have something to say. Of course art doesn’t always have to have a “message”… political, philosophical, religious (yikes! )… but the opposite of having something to say is having nothing to offer. Artists like Young, Dusty and Kymia ruled season two by having some idea of what they wanted to mean. Of course, art is polyvalent, and so you can’t just try to get “past” the work to find out the “message” – ie. “what was the artist trying to say?” Perhaps the best art doesn’t “try” to say anything – it simply says (or sings, or somehow mystagogically discloses) it. 4) Be personal, but not too personal. Life experience is a great and natural starting-point for a work of art. There is a certain logic to starting with what you know and working “out” from there… why not use what you’ve got? But of course there is a danger to (even quasi-)autobiographical art, as Sara J. discovered in the “kid’s art” challenge – your own personal feelings can engulf the work, putting aesthetics second to emotions. Art is not just personal expression – a visual version of a private diary – but an opportunity to transfigure particular experience into potentially universal meanings.